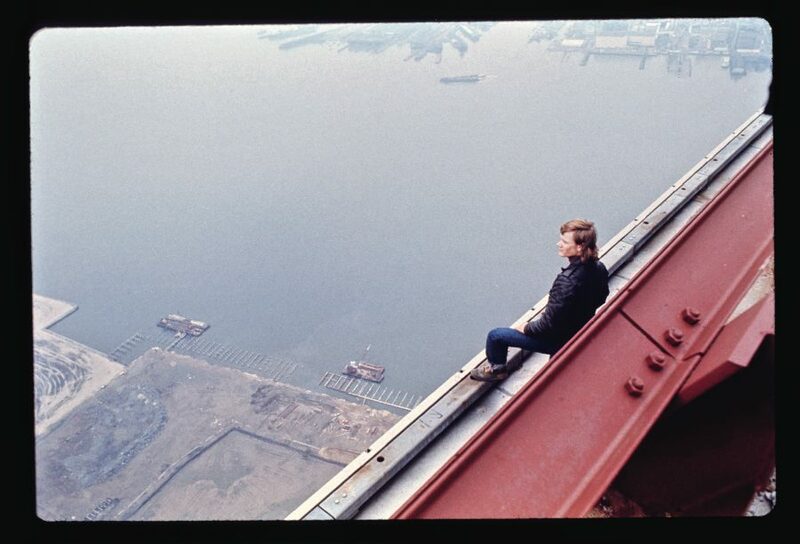 In 1974, mime and photographer Jim Moore became the right-hand-man for aerialist Philippe Petit during the secret preparations and daring guerilla tightrope walk between the two World Trade Center Towers. Thirty three years later, Jim is presenting his photographs of the event in oversized 50″ x 35″ Iris prints, including shots titled On the edge of the abyss, A Helicopter’s View, 110 floors, and more. 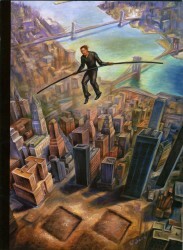 The shots reveal the inner workings of the audacious preparations, including climbing and rigging of the World Trade Towers, all done in complete secrecy. The exhibit will run October 16- November 4 at the Jalopy Theatre and School of Music, 315 Columbia St, Red Hook, Brooklyn. An opening reception is planned for Wednesday October 17 from 6-9 pm. There is no word yet if there will be a commemorative tightrope walk at the reception.